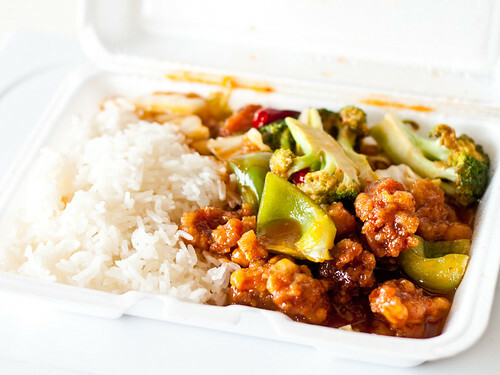 If the take-out box is at a 15% angle it's Grandfather Chicken, and if it's at a 45% angle it's Chili Chicken. 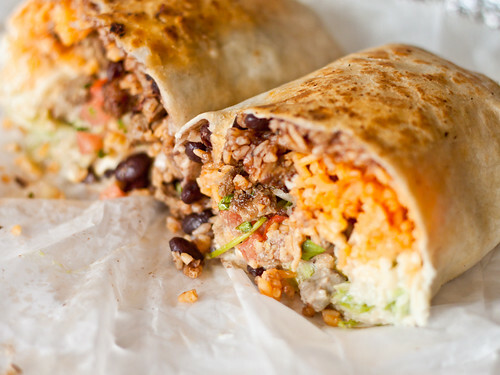 But, in all seriousness: that Burrito looks ridiculously good, a stoner's dream come true. 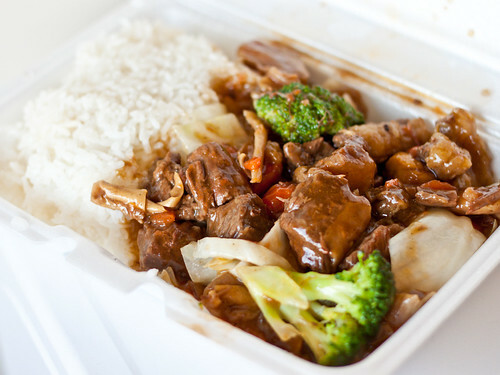 All this time I trusted your judgement and now I come to find that you like stinky tofu?!!!! What was I thinking??!!!! :.O I was just near Penn's campus the other day, where are these trucks??? Sherm - apparently the tilt of my camera can swing the price of chicken 50 cents. FANTASTIC. That burrito is easily the best I've ever had. Full disclosure - I'm not a burrito eating fiend, so that's not that many, but still... not bad. Shirley - you mean you don't like stinky tofu!? BUT IT'S SO GOOD ONCE YOU ACTUALLY BITE IT. 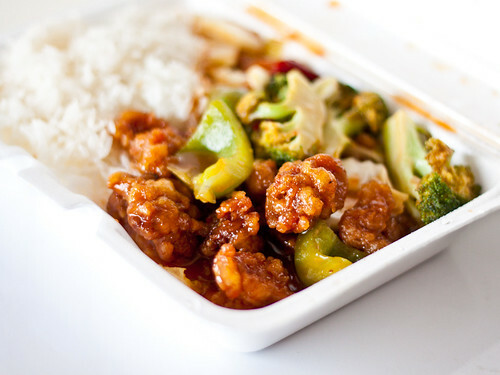 The trucks are mostly on 38th... or next to the gym between 37th and 38th near Walnut?